Initially, a ping was a packet of data sent across an Internet connection for the purpose of serving several functions, such as detecting whether or not the expected IP address being pinged was active, or to calculate the time needed for data to travel along a specific Internet path so that it’s speed and efficiency could be measured. If you’ve ever had your Internet or network connection go down and have waited while your computer tested the connection for you, you’ve sent a ping without knowing it. A ping has since come to serve an entirely different purpose, however. 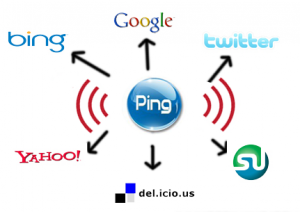 A ping can now be used to better communicate the release of new online content to search engines. This is not automatic, however, but before we get into how to send a ping for this purpose, let’s discuss why. So, you’ve just posted something on your blog you want to share. This could be a product release notice, a designer’s journal, an update on something you are writing, and so on. You get the idea — you want as many people to read your blog as possible, as soon as possible. The potential for your product or book to sell well and get noticed relies upon getting the word out. Once you click on the “Submit,” “Publish,” or equivalent button or link in your blog software, your words are sent out to the Internet for all to read, right? When you post something online, in most cases, the “Internet” (in the broadest, monolithic sense of the word) is not aware of your post yet. Sure, you can tell people you have posted something by linking to it via social media, an email, or newsletter, or you can just leave it alone because your blog has subscribers, but that is only getting the word out in incredibly limited terms. So far as the rest of the Internet that is not a part of your particular network of people is concerned, your posted content does not yet exist. “Crawling” content refers to the process by which a search engine uses software known as webcrawlers to seek out and take notice of new content. This is how search engines like Google, Yahoo, and Bing know your online content exists so they can post it in search results. However, until a webcrawler becomes aware of your content’s existence, it won’t show up in a search engine. You’ve probably noted this happening before — you’ve just posted something, or just seen someone else do it, but it doesn’t show up in a search engine, even when you type in a direct quote. Well, now you know why. Webcrawlers are constantly working because software doesn’t sleep, but there is also a lot of virtual ground to cover on the Internet. The more relevant your content is overall, the more likely it is to be crawled sooner. So what determines relevance? Without getting too detailed (I’ll probably discuss this in a later blog post), what’s known as your PageRank is incredibly important in this regard. PageRank is provided as a number between 0 (worst) to 10 (best.) The higher up this ranking system one goes, the fewer sites are found at any given rank; VERY few websites have a PageRank of 10 — indeed, there are probably less than 10 in the world. You don’t need to wait for a webcrawler to come by naturally (known as “organic webcrawling.”) You can proactively put out a call to webcrawlers — much like ringing a dinner bell. This is what happens when you ping a website. When you ping a website, be it the new website you just launched, the new section of your main website, your blog post, or your press or product release made on a message board or other website, you are immediately telling the services you are sending the ping to that there is new content at that URL they need to come look at with their webcrawlers. This means that, once the ping goes out, the time between the ping and the URL being crawled should be brief, especially by comparison if the content you sent the ping regarding is on a website with a low PageRank. Think of it like sonar: your web content is the submarine, and the ping is finding it and passing its location back to the ship so it can investigate. Pinging is especially useful for certain types of web content, especially if you are a writer or small press publisher who frequently release product and/or press releases, maintain a regular blog, or are otherwise often engaged in trying to interact with an online audience. If you then break your website down into individual sections, such as products, news, your staff, contact information, etc., each of them should be pinged separately. Although sending a ping to your homepage will technically be enough to get a webcrawler to search out and begin indexing these sections (so long as they are linked to from the homepage, that is), there are theories amongst people with SEO expertise (myself included) who believe that sending a separate ping to each section is also beneficial to the sections indexing and ranking on their own. The theory behind this is that Google and other search engines keep track of social media and other backlinks to individual pages of a website separately, so it’s likely a separate ping for each can play up to this same mechanism. There is one aspect of your website that you absolutely should ping on their own (if you have them, that is): landing pages. Landing pages can best be thought of as extremely focused sub-sites built apart from your main site in order to serve a single purpose, be it gathering social media attention, getting email addresses for a mailing list, or selling a specific product. As such, a properly constructed landing page reduces all other distractions that can detract from this purpose, including links to your main site. Because landing pages exist in a sort of hierarchical and structural limbo relative to the rest of your website, depending upon how you’ve set them up, they probably are not going to get crawled from your main site because they probably aren’t linked to from it. This means you’d better ping them if you want them to start indexing. When you release a new product, ping it. Do this whether you are releasing it in your own e-commerce store or somewhere on another site. Ping each product release on each site separately. Just because it is the same product, just up for sale on different sites, doesn’t mean webcrawlers know any better. The fact that they crawl your product listing on one site is no guarantee they will on others. When you post about your product on another website, such as a message board, you should also ping that URL. 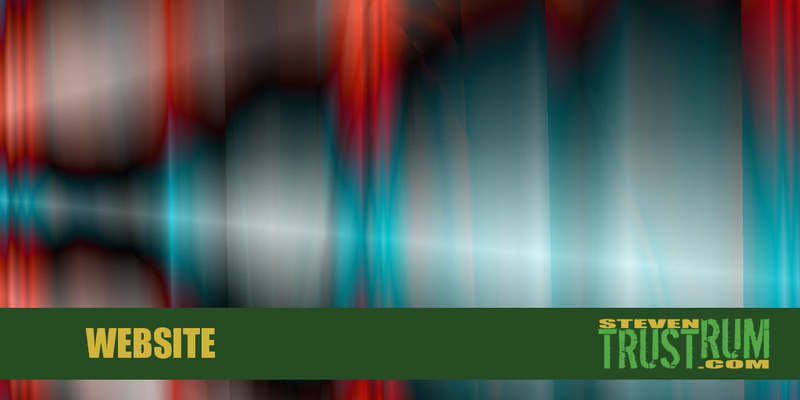 Depending upon the amount of web traffic such sites see, they will likely get crawled rather quickly but, again, better not to gamble on it if you want your announcements to begin showing up in search engine results right away. There is one exception to this: social media. Read on to find out why. In most instances, you should not bother sending a ping to your post. Most social media sites are designed to prevent individual posts from showing up in search engines easily, or at all in some cases. If you’ve ever sought out a single post on Facebook, you’ve probably noticed that you’ll get sent to that person’s main Facebook page instead of directly to the post. The reason is simple: each post is considered an ongoing portion of the single page attributed to the specific user. This means each post is denied its own URL, all sharing the main URL instead. Many social media sites also purposefully use “no follow” and “no index” mechanisms to prevent any links deeper than a user’s main page from being crawled. This keeps their sites manageable, but also helps them control how people are able to use their service. For example, this is one of the factors that have allowed Facebook to reduce the commercial worth of posting in their services with the intention of encouraging people to use their paid advertisements. The obvious exceptions are any social media platforms that separate each post into an individual URL, most notably with blogs. How Often Should You Ping? You should always immediately ping newly released content if it has its own, distinct URL. This is the advantage of having a blog that displays each new post on its own page instead of just one portion of a constant stream on a shared URL. Your main website and each of its sections should likewise send a ping when first created and published (going live.) If you change or add something to these sections later on, you should ping them again. Beyond that, it is good practice (but not necessary) to ping entirely or largely static web content periodically. This will let the search engines know that the content should still be considered relevant, and it helps build authority. Do not ping your static web content too often, however. Yes, there is indeed such a thing as too much ping. Never ping the same site more than once a day, especially with regard to Google. Since Google’s Panda and Penguin updates, the focus on content quality has really been reinforced. Not only are proper, “white hat” Search Engine Optimization (SEO) practices rewarded when it comes to determining PageRank and indexing, but sneaky, “black hat” practices are penalized. Sending a ping for a given URL too often is considered to be a black hat practice. It is considered to be trying to fool Google’s analysis of how relevant the content is, so you’ll get penalized for doing it too often. As with most everything to do with the rules Google uses to determine PageRank, the frequency of pinging is a secret. From the research I’ve read, however, I would not suggest sending a ping to a particular URL of static content more than once every 5 days or so — 3 may be considered pushing the threshold between white hat and black hat techniques. The most effective, efficient way to ping your content is to use a service to do so. There are plenty available, but I prefer using Pingler for a number of reasons. There is no right or wrong, however, and most are free (they use their free ping service to try and hook you into additional for-pay services or add-on functionality.) Basically, you go to the service, enter the URL you want to send the ping regarding, and submit it. If given the option to choose where to send the ping, play it safe and choose everything if you’re not familiar with the differences. When seeking a ping service is very easy: enter “website ping service” into a search engine, and you’ll get plenty of options to choose from. All that said, keep in mind that sending a ping to your newly posted web content is not necessary. So long as people (even just you) are looking at it and it’s being linked to from somewhere, even if only just your own site, it will attract webcrawlers … eventually. However, if you want to make the most of your content by getting it noticed sooner and more frequently, you’re going to be far better off learning how to ping away. Now off I go to ping this post.